The CALS Plant Transformation Facility (PTF) is pleased to announce a new delivery! 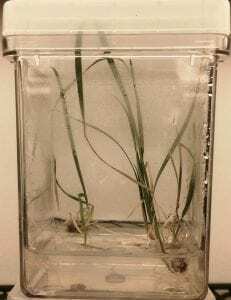 After a few months in the PTF NICU (Neo-natal Intensive Care Unit), the first transgenic Fielder wheat plants are ready for life outside their incubators. 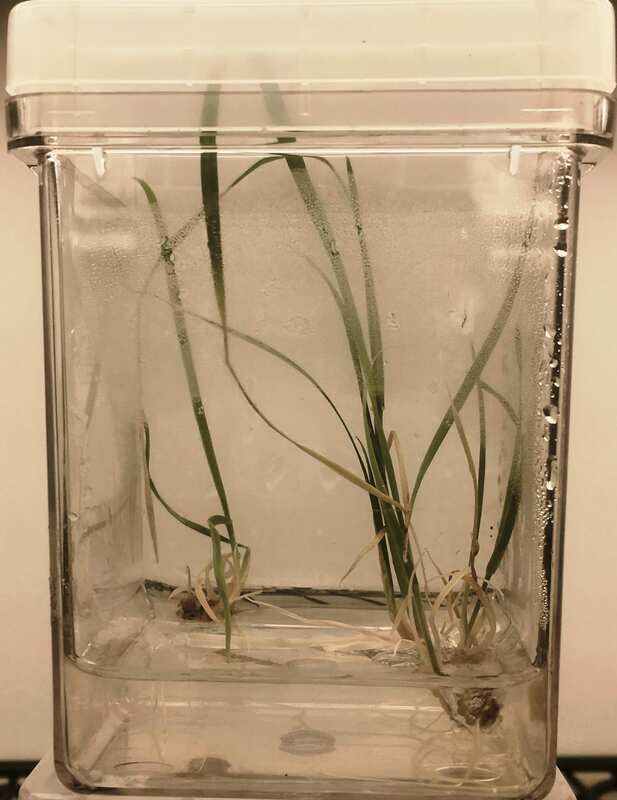 These plants were made to support the USDA-sponsored research of Olena Vatamaniuk (Soil and Crop Science) and Mark Sorrells (Plant Breeding and Genetics) on copper absorption in wheat. The PTF makes transgenic and genome-edited plants to support the research of Cornell and external scientists. Beyond wheat, the facility currently transforms maize and rice. The PTF also recently began to transform apple (M.26 and eventually Royal Gala) and to develop methods for industrial hemp micropropagation, transformation, and genome editing. Please contact PTF Director Matthew Willmann (mrw6@cornell.edu, 607-254-1466) if you would like to discuss how the PTF can support your research efforts. For more information: https://sips.cals.cornell.edu/research/plant-transformation-facility.